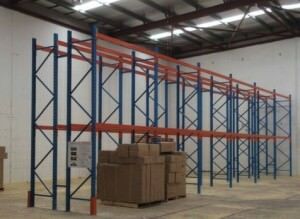 Pallet Racking Installation Services. Proficient & Professional Installers. Northside offers pallet racking installation services by professional installers with years of industry experience and are quick having the relevant tools. This could be for SupeRack pallet racking sold by us or second hand /third party racking. Our pallet racking installers have more than 10 years of industry experience in safely and quickly assembling, installing, dismantling or repairing all kinds of racking and shelving. Cannot take the same beam length at the top or bottom. Installing a pallet rack involves a lot of adjustment , settings and checks before bolting them to the ground. Some of the basic checks are below. Even the slightest degree of variance from the ground would make a pallet rack or a cantilever unstable. In addition to this, there are standards for proper use of bolts, depths and space between the rows which needs to be adhered to as per the work safety regulations. We believe in retaining our customers and ensure that we do it right the first time and every time. 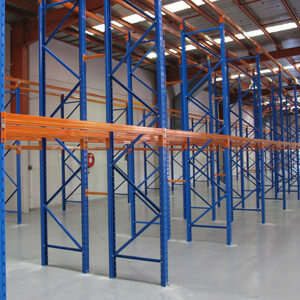 Northside Shelving & Racking can safely dismantle and relocate your pallet racking at reasonable costs. We also dismantle pallet racking and shelving and make good warehouse premises while offering the best prices in the market for your racking. 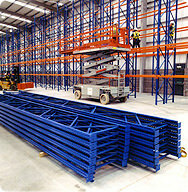 We can also give a good price for your racking if they are no longer needed.